Samsung set out to build a better looking line of Galaxy phones this year, and it definitely achieved its goal. The South Korean electronics company unveiled the Galaxy S6 and Galaxy S6 Edge on Sunday afternoon at Mobile World Conference in Barcelona. I got a chance to preview both new models at a media event in New York earlier in the week. First things first. I'm an iPhone user. I've been an iPhone user since Apple (AAPL) first introduced it in 2007. Thus, my knowledge of Samsung (SSNLF) phones and the Android platform is slim. I've only ever interacted with them when strangers stop me on the street and ask for a picture because they don't have a selfie stick. In addition, during the preview event, I only played with these phones for a few minutes. That said, the new Galaxy S6 phones are impressive and fairly sleek. Design: The front and back body of the phones are molded from Gorilla Glass. The frame is aluminum. Gone is the plastic shell that Samsung has been so criticized for in the past. 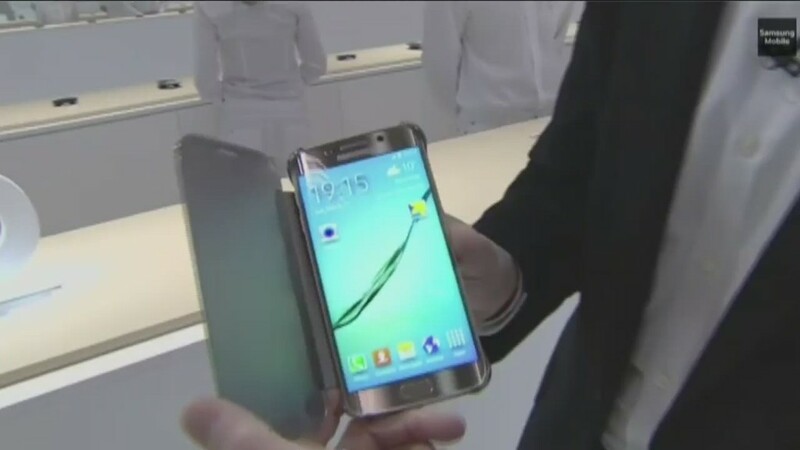 Samsung's new Galaxy S6 Edge features a curved screen on both sides of the phone. The S6 and S6 Edge will no longer have expandable memory. Memory for the phones will be fixed at 32, 64 or 128 GB. Customers will also receive 100 GB of Microsoft (MSFT) One Drive for two years. "This helps people transition to cloud services," Samsung's senior director of product marketing Shoneel Kolhatkar told me. Unlike the S5, the new phones are not water resistant. The speakers have been moved from the back plate of the phone to the bottom edge. Sound is much clearer and louder as a result. The S6 Edge can be programmed to flash different colors for different contacts. This is helpful when a phone sits face down on a table because you can easily see who's calling without having to pick it up. You can also send a canned text message to callers by tapping the heart rate sensor on the back of the phone. Features: If your top needs from a phone are multitasking, taking photos and videos, and mobile payments, then you may want to consider an upgrade. (Just know that if you're looking for a giant phone, you'll have to wait until later this year, when Samsung will release its next set of Note phablets). With the Galaxy S6 and S6 Edge, Samsung wants to make it easier for you to multitask. One of the things I love about the iPhone is FaceTime. One thing I hate about FaceTime is that if I'm using it, and someone sends me a link or an email to read, I have to switch apps. This action pauses the video feed. It also forces me to toggle back and forth numerous times. Samsung's Galaxy S6 and S6 Edge have been updated so that you have full control over how your screen looks if you have multiple programs open. It works like a desktop computer. You can easily resize windows or dock them, like you can on the Note 4. This is handy if you want to watch a YouTube video while checking email or browsing the web simultaneously. Granted the screen is probably still too small to stay in this kind of mode for long periods of time, but it definitely delivers what multitaskers need. Camera: The camera got a nice new feature too: Just double-click on the home button to launch the camera app, and shoot away. That's all you need to do to take a picture on the new S6 and S6 Edge. Is this faster than clicking on the home button of an iPhone, then swiping up on the screen to tap on the camera icon? Yes, especially when you factor in the time it takes to get a phone out of whatever pocket or bottomless handbag you have, not to mention the time it takes to adjust those glittens (glove mittens) during winter. Speed aside, the Samsung Galaxy S6 and S6 Edge also boast a higher resolution camera than the iPhone. The rear camera is 16 megapixels and the front-facing one is 5 MP for both devices; both should also come with impressive light sensors that theoretically let them take better pictures in low-light conditions. We weren't able to test this nor were reporters shown any examples of pictures taken in low light conditions, so we'll definitely test this feature when we get a hold of one. Payments: Lastly, the feature that truly sets these phones apart is their mobile payments capability. Like Apple and Google (GOOG), Samsung will have its own mobile payments platform, called Samsung Pay. Once Samsung Pay launches (sometime this summer) Samsung Galaxy S6 and S6 Edge owners will be able to pay for in-store purchases with their phones. Unlike Apple Pay and Google Wallet, Samsung Pay can be processed by traditional magnetic stripe readers. This is huge. Virtually all credit card machines still use magnetic stripe readers, meaning this feature benefits both consumers and businesses. The average shopper can use Samsung Pay in many more places than Google Wallet or Apple Pay, theoretically. For businesses, this means no need to replace hardware. The feature isn't a huge surprise. Samsung announced last week it will acquire LoopPay, the company that has made it possible to transform phones into credit cards. 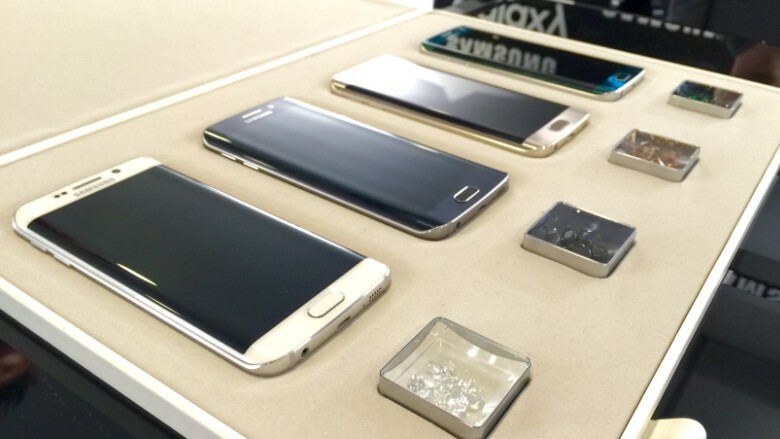 Clearly there are a lot of functions that make the new Samsung Galaxy S6 and S6 Edge praiseworthy. I think Samsung fans won't be disappointed. But again, I'm just an iPhone user.